Her work has won her numerous awards, including a Life-Time Achievement Award from Strand Magazine in July of 2013. 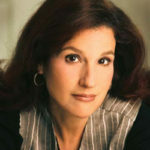 Choosing not to sit on her laurels, she’s continued to weave Suspense Thrillers, much to the delight of her fans, and she’s even worked in time to co-write books with her husband, Jonathan, and daughter Aliza. Best-Selling Thriller author, Faye Kellerman, joins us on the show today to talk about Killing Season and her mystery solving duo, Decker and Lazarus. Listen to “FAYE KELLERMAN – PDI-2018 Adventure #11” on Spreaker.